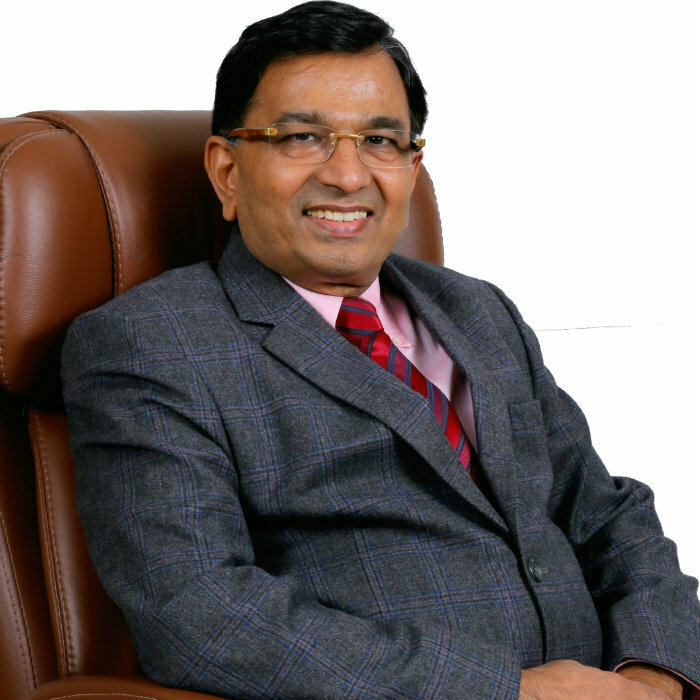 DR R G PATEL is a Gynaecologist, Infertility and IVF and ART specialist, Director of Sunflower Women’s Hospital doing IVF, ICSI, ovum donation, and surrogacy since last 22 years. He performs close to 1500 IVF and ICSI procedures a year. He has given more than 10000+ live births by IVF and ICSI technology and 2800 by IUI. He is doing all sorts of Laparoscopic surgeries like Hysteroscopy, Laparoscopy, Laparoscopic Myomectomy, Removal of Endometriomas, Ectopic Pregnancies and Total Laparoscopic Hysterectomies. He is well adept in obstetric and gynaec Ultrasonography with Colour Doppler, 3D and 4D. He has presented many talks, lectures in state, national and international conferences on infertility related topics and delivered many talks on radio and television. He has trained several gynaecologists from all parts of India and the world for Infertility and IVF. His centre is recognized for IUI and IVF training. He has been awarded many GOLD medals, and numerous prestigious awards. He has been awarded with the prestigious ‘BEST OF THE BEST IVF’ by IVF India, a Times Group survey. Sunflower Women’s Hospital has been awarded Best Gynec. Hospital by “Quality Mark Trust” through the auspicious hands of Honorable industrial Minister Mr. Saurabh Patel and Bollywood diva Evelyn Sharma. He has been awarded “Asia’s Greatest Leaders – 2017” (Singapore) by United Research Services. He has been awarded “Luminary” by Divya Bhaskar, 2018. His patients come from Gujarat, Madhya Pradesh, Rajasthan, Maharashtra, Karnataka and all parts of India and from all over the world for infertility treatments and IVF cycles. He has a passion for this subject and hopes to give a child to every childless couple who comes to him. His patient friendly approach and his aim to achieve the highest possible results make him a very successful IVF specialist. It is his challenge to solve all the difficult cases. He has to his credit success in cases which have several cycles of IVF failed outside previously. He has achieved highest success rates in IVF, around 58- 60% and strives and works dedicatedly for better and better results every day. It is his sheer passion to give pregnancy to every woman who drives him to work harder and achieve the highest possible results. Started my journey as a ranker in Gujarat state board in 12th standard with highest marks in biology. Joined my MBBS and MD (Obstetrics and Gynaecology) in B.J. Medical College and Civil Hospital, Ahmedabad in 1988. Civil Hospital is the largest hospital in Asia and I completed my MD in 1991 with distinction. I was the Vice President and Treasurer of Junior Doctors Association during residency. I started as consultant Gynaecologist in 1992 at Bhansali Hospital and Anand Hospital, Deesa under guidance of very dynamic and senior surgeon Dr. C. K. Patel. From 1994-2004, I worked as a consultant at Patan (North Gujarat). I was the first in Gujarat to do Transvaginal Sonography & Color Doppler with Wipro RT 3200 among private Gynaecologists. I was pioneer for IUI, Color Doppler, Fetal Monitoring (Oxford) at Patan. IUI pregnancies were more than 500 at my hospital (in Patan). I have completed 300 non descent Vaginal Hysterectomies with different indications like large size fibroids, previous operative deliveries and previous sling operations. I had been faculty at various state level conferences and workshops. I have delivered lectures at different places and on different topics all over Gujarat and India. I have worked as Secretary of Patan Gynaec Society very successfully. I am life member of AOGS, AICOG, IMA, FOGSI, ISAR, ESHRE, ASRM, IFFS. I have been trained in Ultrasonography at Wadia hospital, and under DR S Suresh and Dr Rajan. My Endoscopy training has been under DR P G Paul. I have undergone infertility training at Wadia hospital, Mumbai under Dr Sadhna Desai and DR Mehroo Hansotia. I have been trained for IVF at Lilavati hospital, Bombay and for ICSI at Shivani Scientific Lab. I am the Director of Sunflower Women’s Hospital and established IVF Department. I was the organizing secretary of “1st national event composed of The ART & Endoscopy Workshop and Conference (Progress & Challenges in Infertility and Endoscopy) at Ahmedabad”. Hosting and organizing of ISAR ( Indian society of Assisted Reproduction) Indian chapter at Ahmedabad, in 2014 as joint treasurer. Attended special training on “Use of LASER in IVF” in Germany in January 2004. Actively participated in IFFS-International federation of fertility society in Cape Town, South Africa in 2006. ISAR, Chandigarh as faculty on “Markers of Endometrial Receptivity” in March 2008. Delivered lecture as faculty on ‘Newer trends of infertility management’ in 2009 at Morbi. Conference on ‘Ovary Unravelled’ at Bombay 2010 January as faculty on “Treatment of Thin Endometrium”. As faculty and panelist in panel discussion on ‘Recurrent Pregnancy Loss’ at ISAR Cochin in March 2010. As faculty, delivered lecture on ‘Repeated Pregnancy Losses’ at Asian congress of Infertility in Singapore in April 2010. Actively participated in ESHRE Rome Italy in June 2010. Was awarded prize at ASRM, Oct 2010 in Denver, USA. Actively participated in IFFS in South Africa in 2010. Actively participated in ESHRE at Stockholm, Sweden in 2011. Actively participated in ESHRE at Istanbul, Turkey in 2012. Actively participated in ESHRE at London, UK in 2013. Delivered lecture as faculty on optimizing results in IUI’ in Ahmedabad in 2010. Delivered lecture as faculty on ‘Recurrent pregnancy Loss’ in Patan in 2010. Delivered lecture as faculty on ‘Newer Trends in Infertility Management’ in 2010 in Bawla. Delivered lecture as faculty on ‘Repeated Pregnancy Loss’ in Rajkot in 2010. Panel discussion as panelist on ‘ART’ in Gandhinagar in 2010. Delivered lecture as faculty on “Current Trends in Gynecology Practice” at GOAL – Gynae & Obs. Advanced learning in Dubai in June – 2010. Delivered lecture as faculty on newer advances in ART in GIMACON at Unjha in 2011. Delivered lecture as faculty on ‘Endometriosis in ART’ at Rajkot in November 2011. Delivered lecture as faculty on ‘Male Infertility & ART’ in AOGS, Ahmedabad in 2012. Delivered lecture as faculty on ‘Polycystic Ovarian Syndrome’ in Himmatnagar in 2012. Delivered lecture as faculty on ‘Hormones in Infertility’ as part of ISAR in Ahmedabad in 2013. Delivered lecture as faculty on ‘Endometriosis & ART in AOGS in Ahmedabad in 2013. Chairperson of panel discussion on polycystic ovaries in AOGS oration in Ahmedabad in September 2013. Lecture on “Ovulation Induction in ART” on August 31, 2014 at “MID TERM SOGOG 2014”, Mount Abu. Talk on-Polycystic Ovarian Syndrome (PCOS), at Himmatnagar. Lecture on ” PCOD: Diagnosis & Management” on November 8th, 2014 at “Kalol Obs. & Gyn Society”, IMA-Hall, Kalol. Lecture on “Recent Trends in Management of PCOS” on November 13th, 2014 at “Vadaj, Ranip, Chandlodia, Nirnaynagar – O.B.G.Y.Association”, Hotel Metropol, Ahmedabad. Lecture on “MALE INFERTILITY” on December 21st, 2014 at “SOGOG-2014”, Hosted by-Rajkot Obst.& Gynec. Society-Rajkot. Lecture on “Newer Trends In Infertility Management” on January 04, 2015 at “Ahmedabad Medical Association”, Ahmedabad. Talk on “Newer Trends In Infertility Management” on February 26, 2015 at Vijapur. Talk on “Recent trends in Ovulation” on April 19, 2015 at “Mehsana Obst. & Gynaec Society”(MOGS), Hotel Marigodl-Siddhpur. Talk on “Recent trends in Ovulation” & “Male Infertility” on May 09, 2015 at “Bhavnagar Obst. & Gynaec Society”, Bhavnagar. Talk on “Newer trends in Infertility Management” on May 10, 2015 at “AMACON-2015”, AMA-Ahmedabad. Talk on “Luteal Phase Defect [LPD]” on May 24, 2015 at “Society of Assisted Reproduciton Technology Gujarat with Rajkot OB & Gy Society”, Rajkot. Talk on “Recent trends in Ovulation” on August 12, 2015 at “Deesa_Palanpur Obst. & Gynaec Society”, Deesa. Talk on “Ovarian Hyperstimulation Syndrome (OHSS)” on December 18, 2015 at “SOGOG-2015”, Ahmedabad. Talk on “Ovarian reserve and infertility” on December 19, 2015 at “SOGOG-2015”, Ahmedabad. Talk on “Recent trend in Infertility & IVF” on June 11, 2016 at FOGSI-Udaipur Chapter (Hotel Raddison Green), Udaipur. Panel discussion on ‘Difficult IVF Ovulation Induction’in GUJARAT IVF and ART conference on 19-06-2016, in Ahmedabad. Talk on “Luteal Phase Defect [LPD]” on July 21, 2016 at “Rotary Club of Mehsana”, Mehsana. Talk on “How to improve Result in IVF” in 22nd IFFS World Congress at New Delhi. Talk on “Minimizing PCOD Complication” on October 2, 2016 at “PCOS-Infertility & Early Pregnancy”, Organized by The PCOS society & AOGS, Ahmedabad. Talk on “Art of Ovulation Trigger : What,How Much, When & Why” on October 16, 2016 at “SOGOG-2016”, Surat. Talk on “Newer Technology in IVF’ at All India Family Physician Conference on 8 January 2017, Madhuban Resort, Anand. During participation as Faculty in Panel discussion on “Management of Recurrent Pregnancy Loss” at AICOG-2017, Ahmedabad. Talk on “Endometrium in Infertility” on March 25, 2017 at AOGS ANNUAL CONFERENCE, AMA-Ahmedabad. Talk on “Luteal Phase Defect [LPD]” on April 30, 2017 at Siddhpur. Talk on “Diagnosis & Treatment of Decreased Ovarian Reserve ” on June 11, 2017 at Gujarat Chapter – ISAR (GCISAR) Under the aegis of Surat Obstetrician & Gynecologist Society (SOGS), Surat. Talk on “Newer Trends in Infertility Managment” on March 17, 2018 at Hotel Hyatt Ahmedabad. Poster presentation on “ Role of Serum LH levels 12 hours post agonist trigger administration and rescue HCG trigger “ at ESHRE World Congress 2018. Talk on “Newer Trends in Infertility Management ” on August 10, 2018 at Hotel Hyatt, Ahmedabad. Talk on “Optimising Embryo Transfer Techniques” on January 12, 2019 at AICOG-2019, Bengaluru. Talk on “GnRH Agonist Depot” on 24.02.2019 at IMOCON-2019. Talk on “Agonist v/s Antagonist in Controlled Ovarian Stimulation” at “24th Annual Conference of ISAR-2019”, Mumbai. Panel discussion on trials and tribulations of ovulation induction in PCOS at ISAR-2019, Mumbai. Trained more than 300 Gynaecologists for IUI and IVF from all over India and abroad (FOGSI recognized training centre for IUI and IVF). More than 10000+ IVF babies have been delivered by me. More than 2200 IUI babies have been delivered by me. 70% to 76% success rate in IVF ART. Pioneer in Laser assisted hatching technique of IVF (delivered first laser assisted hatching baby of Gujarat). Special interest in recurrent pregnancy loss, male infertility, Colour Doppler and genetics. Lots of egg donation, embryo donation and surrogacy is being done at my hospital for indicated cases and with very good results. Facilities for Cryo preservation of Sperm and Embryo, PGD, Laser Assisted Hatching are available at Sunflower. Patients from all over Gujarat, neighboring states like Rajasthan, MP, Maharashtra, all over India and abroad specially from UK, Australia, USA and Gulf countries come to Sunflower for IVF cycles. Awarded ‘best of the best IVF centre 2012-2013’ by IVF INDIA. Eminent Rotarian, honored by Rotary club of Ahmedabad. I am interested in sports; cricket is a hobby and passion. I am voracious reader, book collector, interested in photography and affiliated with few social organizations.